Sometimes we wonder if life would be easier as a bat. You could fly around and see by echolocation, which would be pretty cool. You’d probably be nocturnal, which means not having to justify staying out all night or make up excuses to your bat parents. And during the day, you get to–wait for it–hang out in your cozy little tree or cave or bridge. You know, wherever your little bat self calls home. Sure, you’d have to deal with people always asking you about that Batman guy. “No, he’s not a relative. No, I don’t even know him. Sorry, I can’t get his autograph for you.” They just won’t leave you alone! Okay, so maybe it would be easier to wear this adult cozy bat costume instead. This adorable and lovable costume has a center-front zipper and hood, just like a hoodie, except this one looks like a cute little bat. Soft ears are sewn onto the hood and both the hood and ears are covered in faux fur for extra fuzziness! Bat-wing flaps connect the sleeves and sides, but they won’t actually let you fly. (That’s important to know.) 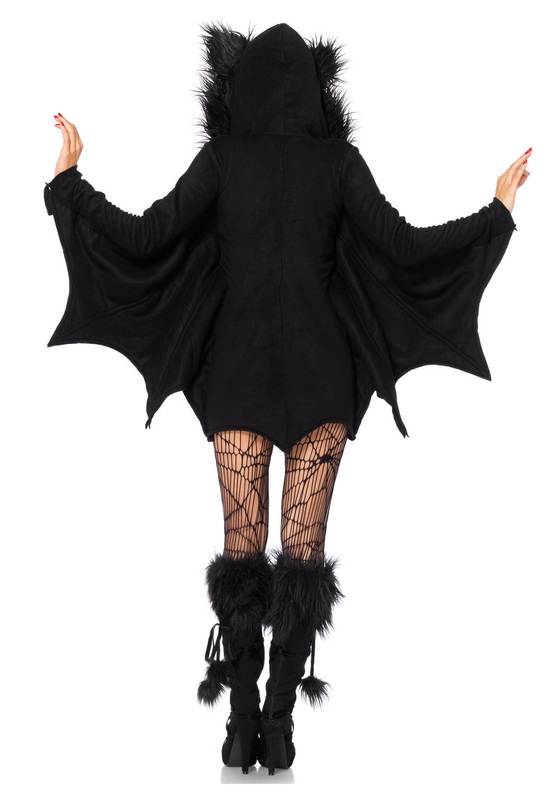 The cozy bat adult costume looks great with spiderweb tights, but it’s very short so you may want to wear hot pants or boy shorts, too. And you can totally stay up partying or hang out in caves while wearing this costume, just like a real bat, but you don’t have to. You’re not, like, contractually obligated, or whatever. You can just play it cool and cozy, like a bat.